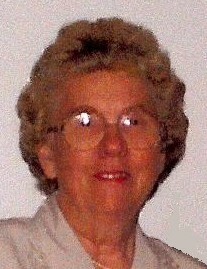 Nancy M. Purtee, age 85, of Jackson Center, Ohio passed away at 7:45 A.M. Tuesday, April 2, 2019 at her home surrounded by her loving family. She was born in Wood County Ohio February 1, 1934, to the late Henry Clay and Glade Elizabeth (Wright) Stephenson. On July 23, 1951, in Indiana, she married George L. Purtee and he preceded her in death, August 1, 2013. Nancy was also preceded in death by her sisters, Mable, Pearl, Lucy, Mary, and Dorothy; and brothers, Bud, Sonny, and Joe. She is survived by her children, Daniel Purtee of Jackson Center, Jeffery (Kathy) Purtee of Quincy, Ohio and Sharon (Charles) Kemp of DeGraff, Ohio; six grandchildren, Brad (Kelley) Burch, Ryan (Shannon) Burch, Tamara (Eric) Williams, Brandon Purtee, Cass (Meghan) Kemp, Melissa (Scott) Opperman; nine great-grandchildren; one great-great grandson and numerous nieces and nephews. Nancy worked for Airstream for over fifteen years. She loved flowers and was a great cook. Nancy and her husband George loved to go to auctions and car shows. They both loved to collect antiques. All who loved and knew her will miss Nancy. Visitation will be held Thursday, April 4, 2019 from 5 to 7 P.M. at the Eichholtz Daring & Sanford Funeral Home in Jackson Center. Pastor Stephen Luzader will officiate the funeral service at 11:00 A.M. Friday, April 5, 2019 at the funeral home. Burial will follow the funeral service at the Pearl Cemetery in Swanders, Ohio.